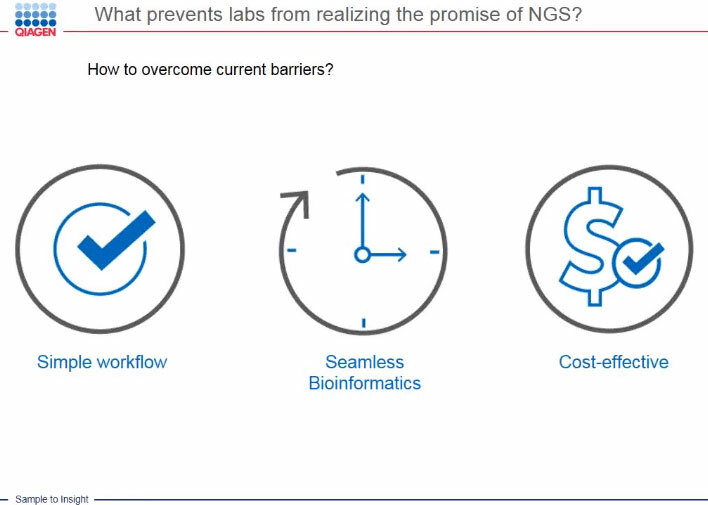 Piecing together instruments and kits from different providers to create a fully operational NGS workflow can take 6–9 months from the purchase of individual components needed to the processing of the first samples. 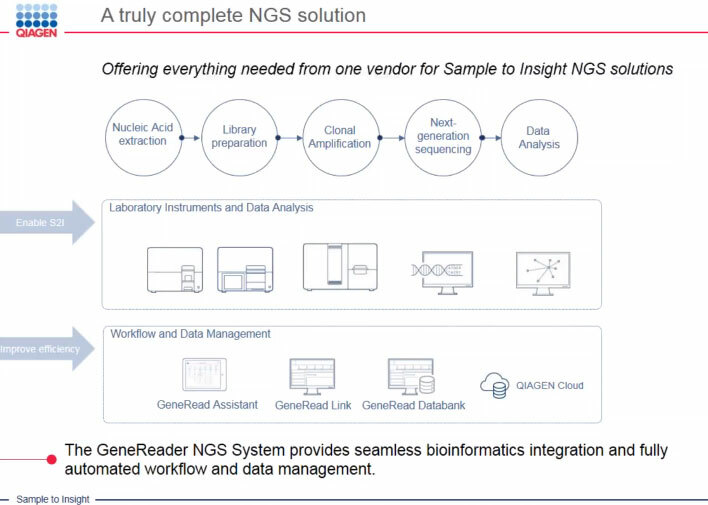 The GeneReader NGS System is different. Your system can be installed, your staff fully trained and the workflow ready to run within as few as 30 days of purchase. 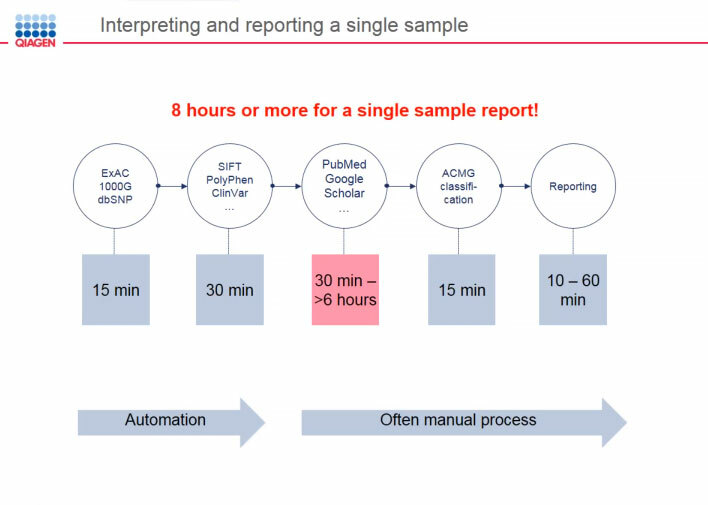 Check back for upcoming webinars or sign up to receive webinar alerts. 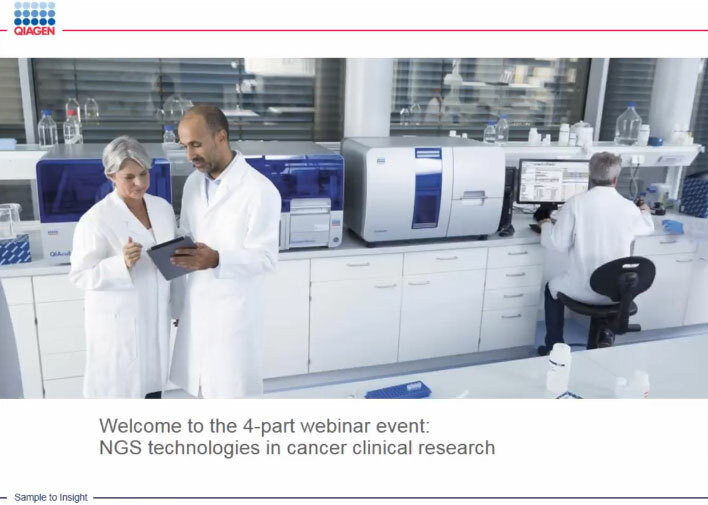 Sign up to receive alerts about upcoming webinars about implementing NGS quickly and easily in your lab.